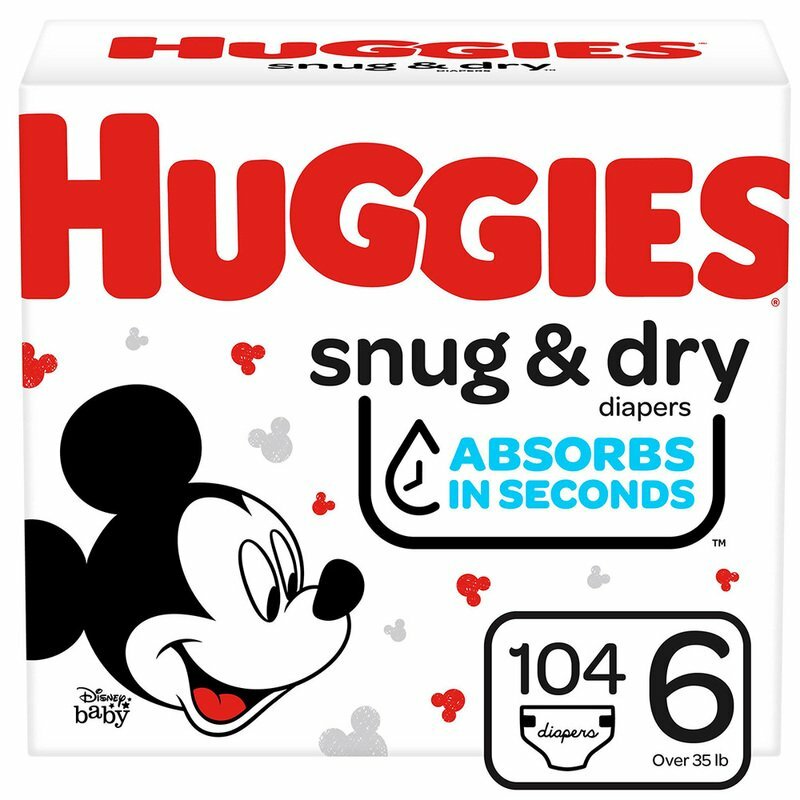 Give your baby great protection at a great value with HUGGIES Size 6 Snug & Dry Diapers. Our triple layer protection and trusted Leak Lock system provide up to 12 hours of leakage protection. Snug & Dry Diapers have quick absorbing layers that wick away moisture to keep your baby's skin dry throughout all his daily adventures. Diapers also feature adorable Disney designs.